REVEALED: The Foreign Entity that is the REAL Threat to US Elections. For the past two years Democrats shoved their Russian narrative down our throats. We are to believe Russia is the biggest threat to our election process in the United States. Recall, when Russians were recently indicted for spending a measly hundred thousand dollars on advertisements that both favored the right and the left? Liberal heads were spinning. For months on end we heard that Donald Trump was a threat to our democracy! In addition, liberals want us to believe Russia is a threat to the “integrity of our elections” and all this nonsense is based on some Facebook ads. Never mind that many United States citizens spend more on the advertisements for their own businesses on Facebook. Despite this, and a lack of proof to back up their theories, Democrats still insist this is a national emergency. But what do Democrats really think about every day election meddling that comes from their own party? Take, for instance, the scandal brewing in Broward County, Florida right now. We recently reported that the Clinton’s lawyer, Marc Elias, rushed to Florida to help put Andrew Gillum and Bill Nelson over the top to win against their GOP opponents. Lawyer Marc Elias is a partner at Perkins Coie Law Firm. Recall Perkins Coie is Hillary Clinton’s fixer who paid Fusion GPS for the fake Russia dossier. Further, during the 2016 campaign, Hillary and the DNC paid Perkins Coie nearly $10 million to cover their crooked tails. Broward County has been under scrutiny before for fixing elections in the favor of the Democrats but today the most chilling revelation happened. 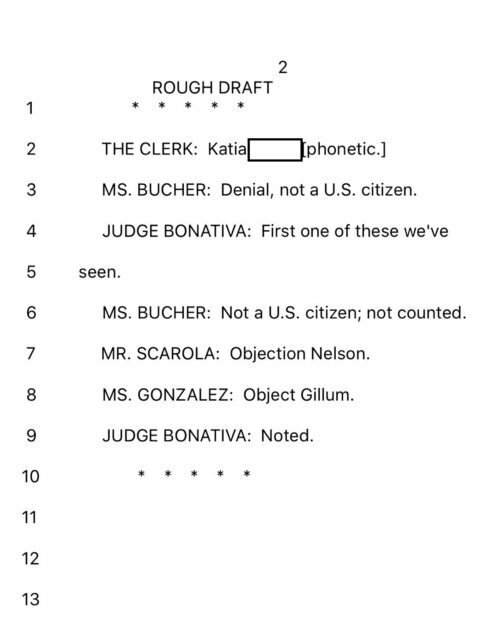 In a courtroom where Republicans and Democrats met to resolve the election fraud issue, Democrats objected to tossing non-U.S citizen votes. As you can see, after Republican lawyers objected, Democrat lawyers for the senator and the governor insisted the vote be counted anyway. 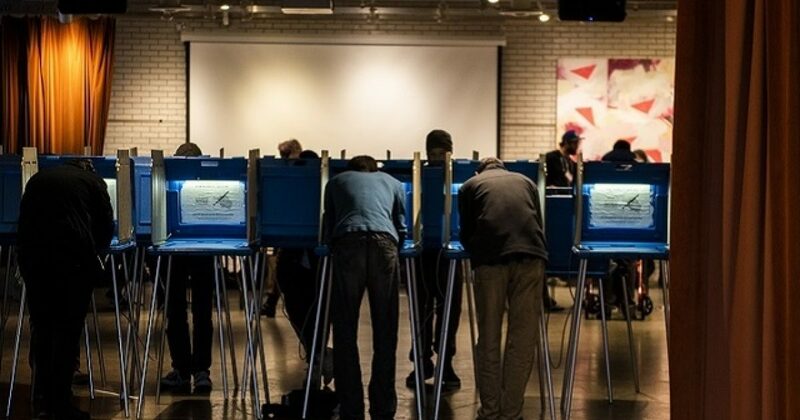 Michael Barnett, chairman of the Palm Beach Republican Party, told TheDCNF that the county’s canvassing board was going through provisional ballots and quickly deciding whether to allow or disallow each. “We had a court reporter that we hired to sit in the proceedings, which are public,” he said. And while the judge overruled the objections and said that the vote cannot be counted, this should startle every American down to their core. Well, it reveals what conservatives have been saying every election cycle. Voter fraud is real and it happens. Despite the facts, every election cycle conservatives and Republicans are made to look like conspiracy theorists by suggesting that illegals cast votes and that the dead cast votes. Recall Donald Trump sounding the alarm to this during his own presidential election where he said that likely illegal votes put Hillary over the top for the popular vote. Whether or not it put the popular vote over the top for Hillary, Donald Trump was made to look like a fool and the left suggested entertaining this idea is crazy. Furthermore, consider the criminal votes Democrats get to try and sway elections in their favor. Don’t believe me? Check out this revelation by Andrew Pollack, father of Meadow Pollack, who was shot and killed in a Florida high school shooting just last year. Yes you read that right. Democrats actually signed this kid up to vote for their corrupt party. Pollack is sounding the alarm. Broward County shows utter incompetence regarding their handling of the shooting and the suspect’s past disturbances. And to think the idiotic left called for even more government control. They sell gun control as a method to prevent these kinds of tragedies in the future! Oh yes ladies and gentlemen this is not a conspiracy theory. It is true; Democrats have illegal aliens voting for them all the time. And yes, Democrats have criminals voting for them too. So, what does this say about the moral turpitude of the left? Obviously, liberals aren’t trying to preserve and protect our election integrity. But they do try to make us believe they value the constitution. After what we are witnessing in many states right now, it’s easy to see who the enemy is. Just to clarify, the Democratic Party is the party that poses the biggest threat to our republic. Liberals destroy the integrity of future elections. Forget Russia! Of course foreign entities are always trying to influence other countries elections, including ours. We do not deny this. And appropriate actions should be taken to stop this from happening. But when you allow and encourage illegal behavior in elections to sway a particular party into power against the will of the people, well, that’s called tyranny. Recall that according to a recent Yale study it was found we did not have the correct statistics on how many illegals are actually here. They estimated a whopping 20 million illegal aliens are here. Previous estimates hovered around 11 million for years. And since they were wrong before, you could probably bet on there being more than 20 million. It is time to hold the Democrat party and their leaders accountable. We the people need to demand the Democrats stop interfering with our election process.